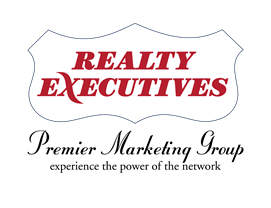 Reasons Mark Marsillo is the Right Real Estate agent for you! As a real estate professional, I provide assistance for both home buyers & sellers, and will always have my client's best interests in mind. I uphold the highest moral and ethical standards with the real estate transaction & will always have your best interests in mind. I will provide you with the pinnacle of personalized service throughout your real estate transaction & after, so you can attend to your personal matters, while insure your real estate transaction is as stress free as possible. I utilize corporate level digital marketing & technology to insure that your home gets as much exposure as possible if you are a seller and if you are a buyer, that you find the perfect home. I utilize a comprehensive networking strategy to assist in the purchase or sale of your home. I will negotiate to help you achieve your specific real estate goals and objectives. I will handle the difficult tasks to make the moving process an easy process. I will assist you in finding any related services that are necessary to buy or sell a home, or other property. To more effectively assist you with your home search, please tell me a little bit more about your specific needs.